The CORE System is made up of a set of inter-dependent measurement tools developed around the CORE Outcome Measure (CORE-OM). 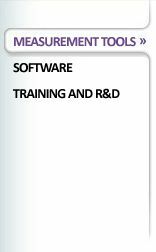 The System has a successful history of over a decade and is supported by CORE IMS providing software, training and research services. The CORE methodology is the system of choice for routine outcomes measurement in psychological therapies in the UK and increasingly in other EU countries such as the Netherlands, Denmark, Sweden and Portugal. The CORE System is for managers and practitioners working in psychological therapy services and is in use by a wide range of professions and sectors. It provides a framework for responding to the increasing demand in health and other sectors to provide evidence of service quality and effectiveness. It is freely available under copyright and supported by over a hundred academic publications. If you are a practitioner or manager short on time but need a system to enable you to provide quality information about your client groups and service performance, the CORE System, together with CORE Net or CORE PC software, provides you with a structured and systematic solution which delivers the information you need. If you'd like to receive more information on CORE System Measurement and Assessment Tools simply contact us and we will be happy to help you.